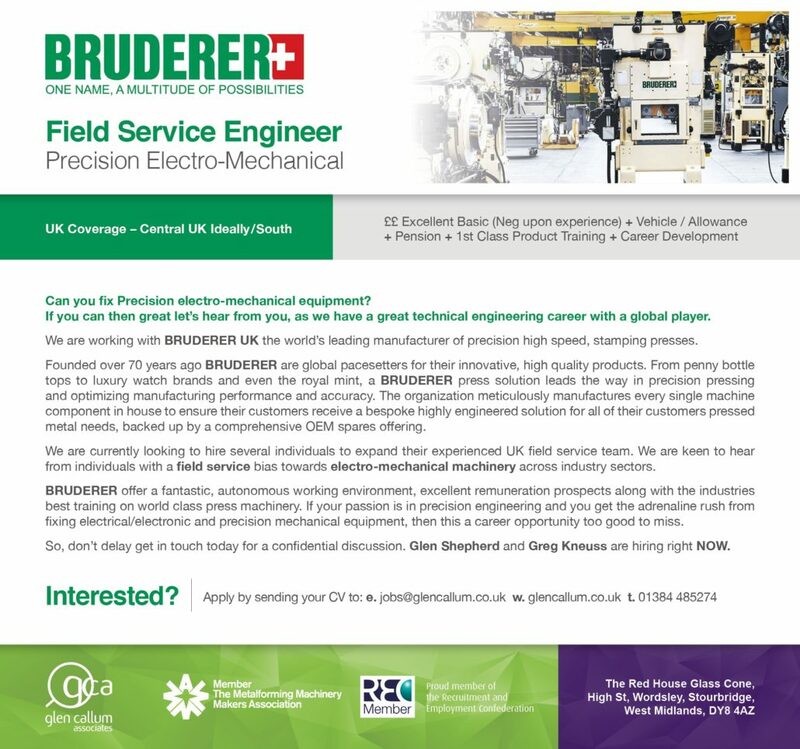 BRUDERER UK is Looking across industry sectors to hire SERVICE ENGINEERS with electro-mechanical engineering skills right now…..
We are looking to hire experienced individuals that possess the potential and capability of working on complex electro-mechanical machines with high speed and high precision capabilities. Ideally we seek individuals with joint electro-mechanical experience, possibly educated to HNC or ONC in the electro-mechanical engineering field. In addition we are looking to attract people with a thirst for fixing machinery, equipment or working out complex engineering problems of a mechanical and electrical bias. For the right people BRUDERER UK offer the chance to work on world leading press machines combined with the industry’s best and most comprehensive training to learn every aspect of servicing and repairing their highly engineered precision press machines. The role also provides an opportunity to work nationally and on occasions internationally so if you’re flexible to travel and relish being mobile this holds fantastic potential. BRUDERER’S employer image is equally important as more often that not the Field Service Engineer is the face of the company when a problem arises. Therefore continued investment in employee development is key to their hiring strategy. Ongoing training and up to date technology advancements will ensure the BRUDERER service engineer remains at the very forefront of their industry to ensure “best in class” customer experience. If you have experience in working on electro-mechanical applications regardless of industry, are flexible to travel and can demonstrate a true passion for fixing problems, coupled with great people skills then get in touch and talk to us about what you have to offer. This is a fantastic opportunity for candidates with right balance of core technical skills, knowledge and of course the right attitude. 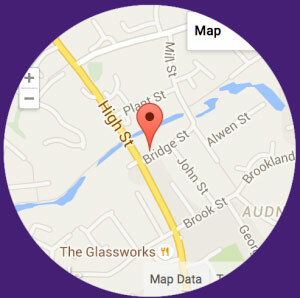 “I cannot praise Julian enough, I was kept well informed at all stages with accurate and timely information. Julian consistently went that extra mile and ensured he was reachable at all times. — Kieron W, Technical Demonstrator, Garage Equipment Supplier.